Auburn State Park is home to more endurance events than any other park on Earth, with an event history that stretches back more than a half century. In April 2003, Auburn’s City Council officially declared the former Gold Rush city as the “Endurance Capital of the World”. Auburn State Park is home to more endurance events than any other park on Earth, with an event history that stretches back more than a half century. World renowned events include the Tevis Cup Ride, the Western States Endurance Run, the American River Classic, the Auburn Triathlon, the American River 50, and Way Too Cool 50K. A vast network of trails wending through oak-forested foothills into the granite peaks of the surrounding Sierra Nevada create an irresistible draw for endurance runners. In 1974, Gordy Ainsleigh famously lined up in Squaw Valley beside the horses at the Western States Trail Ride (now Tevis Cup) to see if he could complete the course on foot. 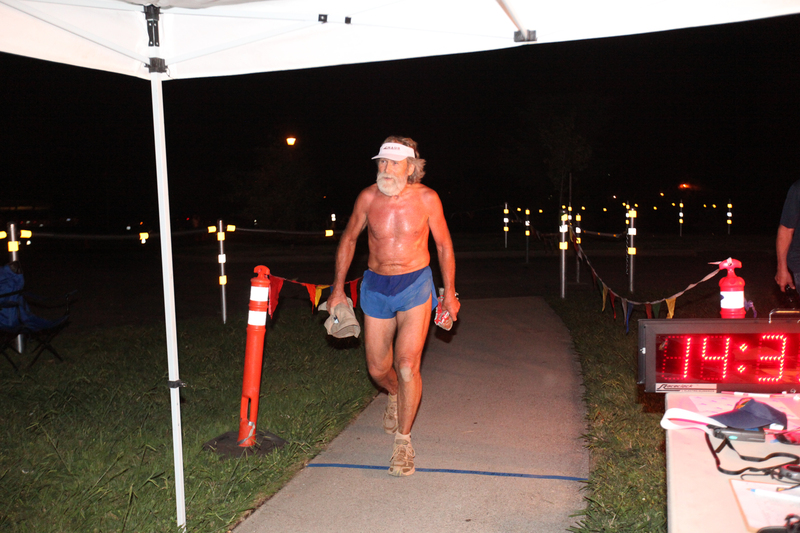 Twenty-three hours and forty-two minutes later, Gordy arrived in Auburn and proved to the world that a human could run 100 miles on mountain trails in one day. The Western States Endurance Run has since become arguably the most prestigious 100-mile trail run in the world. Runners in the Overlook 100K will have a chance to experience 42 miles of the storied Western States course as the race passes through Foresthill and Michigan Bluff, then follows the North Fork of the American River on the Tevis Cup and Western States trails before crossing No Hands Bridge and finishing in Auburn. The race starts in Foresthill, which is located on a broad divide between the North and Middle Forks of the American River. In the spring of 1850, miners flocked to the ridge after a landslide exposed gold nuggets from the gravel bed of an ancient river. By 1857, Foresthill became an important trade center for gold camps along the ridge, and by 1880 it was one of the largest towns in Placer County, California. Today the now-sleepy community is home to about 1,500 people. Michigan Bluff was also founded by gold miners, and today is recognized as a California ghost town, although it’s still home to a tight-knit community of people. The mountain hamlet also sits on the Foresthill Ridge, overlooking the American River Gorge and El Dorado Canyon. No Hands Bridge was built in 1912 to accommodate trains servicing an upstream rock quarry. It was the first concrete bridge of its kind in North America, and at the time the longest concrete arch bridge in the world. Back then, concrete was considered an unreliable material for building bridges, but the No Hands Bridge has withstood roiling American River currents for a hundred years. The bridge stayed on its footings when the Hell Hole Dam broke in December 1964, and continued standing after a 1986 flood that completely submerged the bridge and destroyed a dam down-river. Now only open to horse, bike, and foot traffic, “No Hands” received its moniker from a veteran rider who would drop her reigns across the then guardrail-less bridge. Now with a guard rail to lessen the threat of vertigo, No Hands is considered the “gateway to Auburn” for endurance runners descending the river gorge.